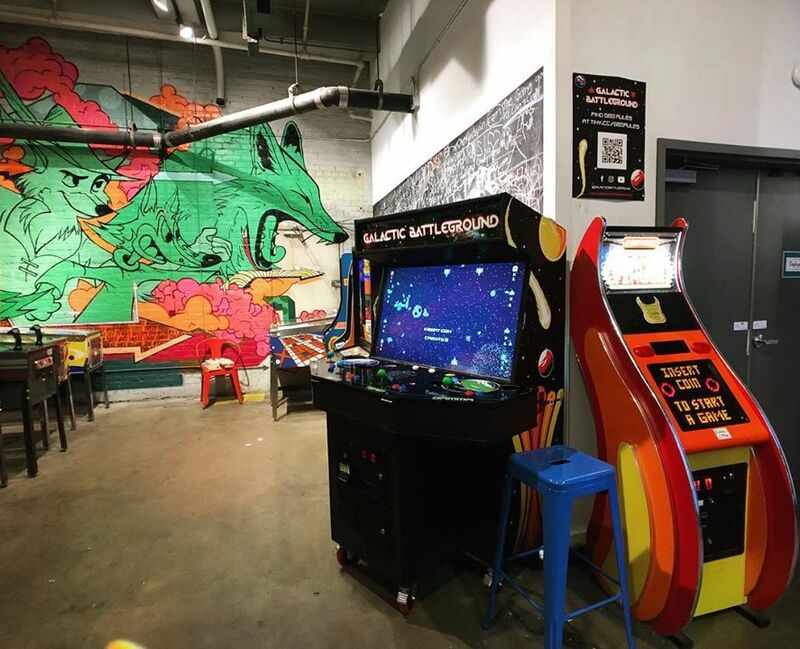 Galactic Battleground is a retro arcade-inspired, 2 vs 2, space combat arcade game made from the ground up in Minneapolis, MN. Developed by the technology company, Slackerz Inc., Galactic Battleground (GBG) was first conceptualized and created by Kelly Pangburn (Lead Developer, CEO, and Co-Founder) and Dylan Davis (Art Director and Co-Founder) in 2016. It made it's debut appearance to the public in 2016 at 2D Con where it initially was being demoed as a future game on Steam. In 2017, as new members joined the Slackerz Inc. team and Galactic Battleground continued development, the game was repositioned. GBG was to be featured in an arcade cabinet and Slackerz Inc. was determined to lead the resurgance of the arcade industry. 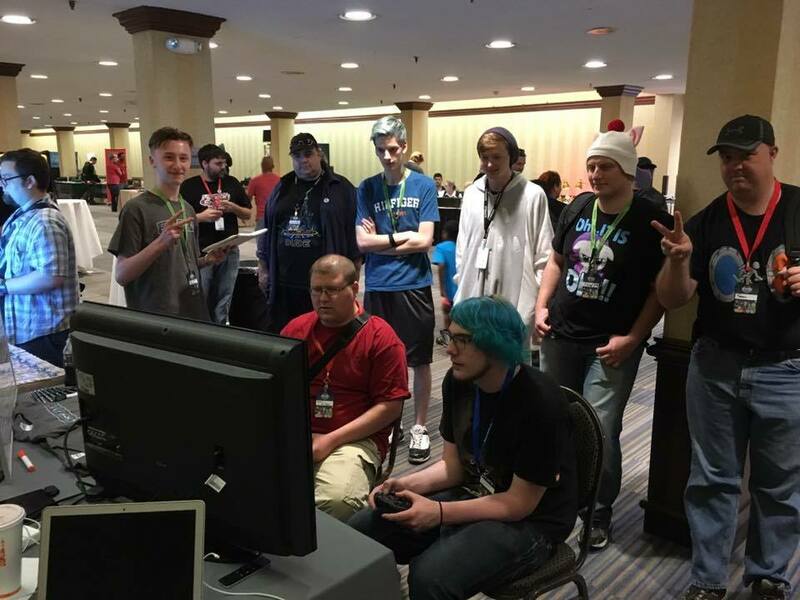 With a newly organized team, GBG underwent aggressive development, which introduced 4 player battle, additional power-ups, more map layouts, UI improvements, as well as the design and production of GBG's first cabinet. A layout of the first GBG arcade playing field. 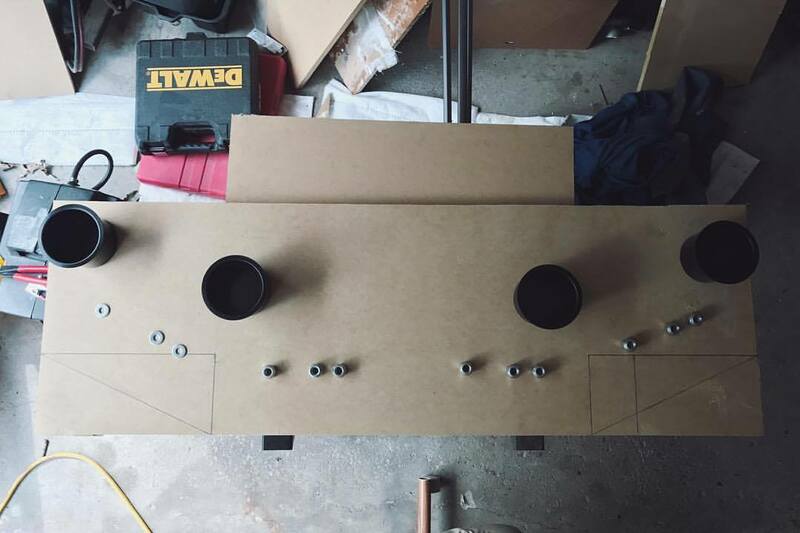 The first GBG cabinet prototype was built from the ground up in friend of Slackerz Inc., Brodie Whittle's garage. The marquee of GBG's first prototype cabinet at their Republic - 7 Corners launch party. 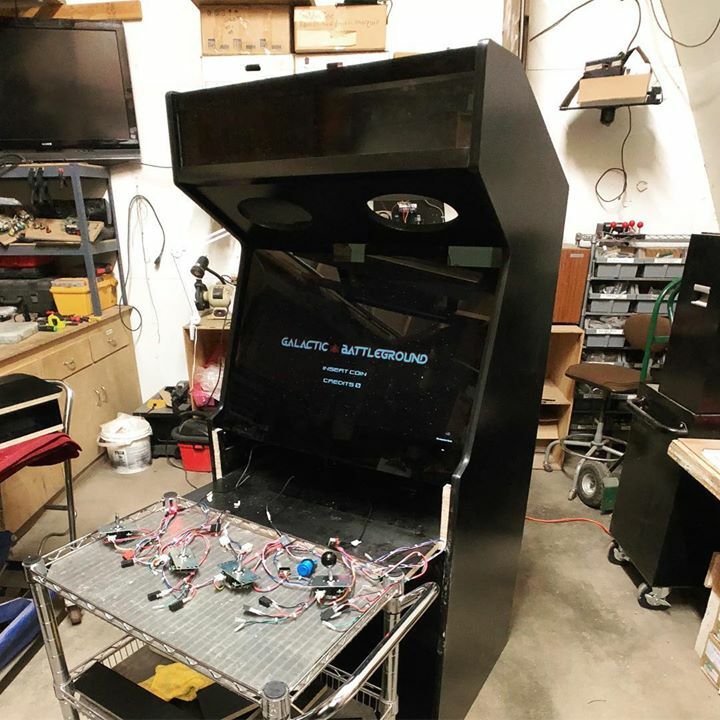 After completing their first prototype of the GBG arcade cabinet and undergoing a long QA of the expanded features of the game, Slackerz Inc., debuted their prototype at Up-Down MPLS. 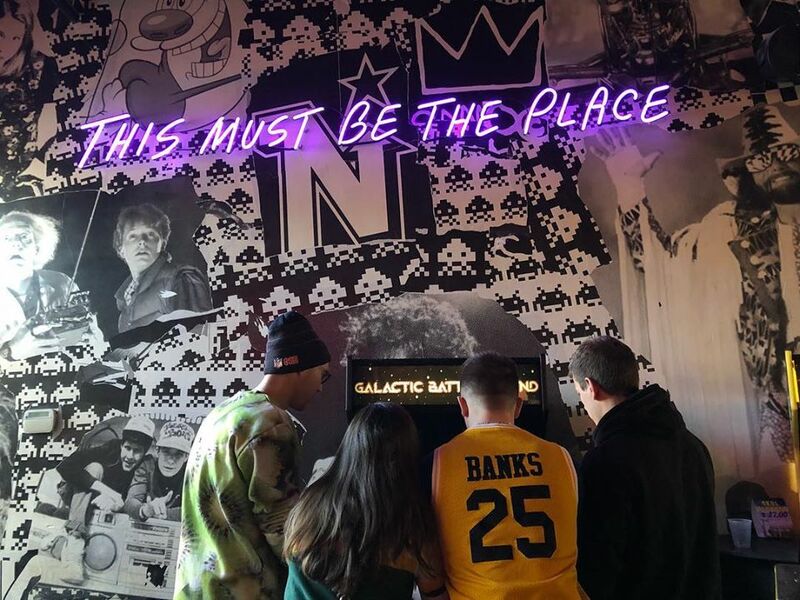 As the first wave of arcadegoers and enthusiasts got their hands on the game, Slackerz Inc. listened to feedback and continued to make enhancements to GBG. Making a local splash in the short time it was there with highlights from Twin Cities Geeks, GBG also garnered attention from Can Can Wonderland, a unique business in St. Paul and one of the newest attractions in the greater Twin Cities. 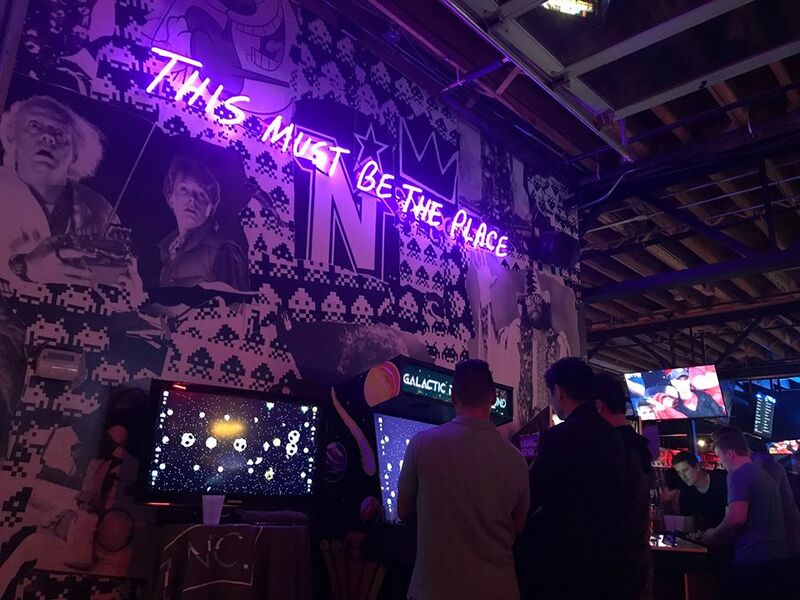 Before long, Can Can Wonderland would be the the first permant home of Galactic Battleground arcade, striking a deal to spotlight GBG in their arcade. Shortly following GBG’s move to Can Can Wonderland, the game also appeared on the radar of Paradise Arcade, a leading arcade parts and distributer, and quickly began talks of cabinet production with Slackerz Inc. The two parties entered a partnership and immediatly began to build a prototype cabinet that greatly improved on the original GBG cabinet. Likewise, Slackerz Inc. upgraded the internals of the cabinets and continued to develop the game. They soon received their first collaborative prototype cabinet in the months thereafter. GBG's first permanent home at Can Can Wonderland in St. Paul, MN. Guts and bones of the second GBG prototype, built by Paradise Arcade and Slackerz Inc. Slackerz and Paradise collaborated to significantly improve the GBG cabinet. The second GBG prototype being played at Up-Down MPLS during the 2018 Super Bowl weekend. Making a brief return to Up-Down for the 2017 Super Bowl to test their second prototype cabinet, this time produced by Paradise Arcade, GBG began preparations for production of their first official cabinets. 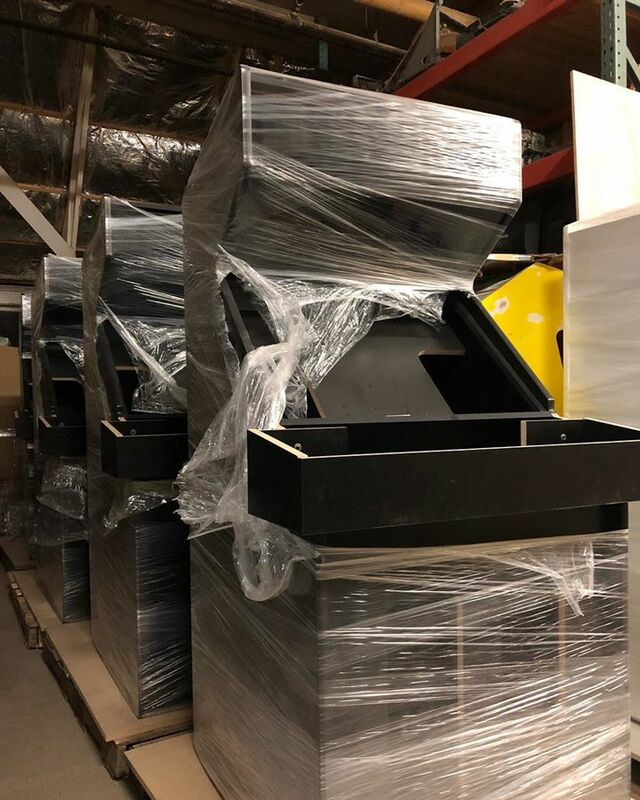 Slackerz Inc. started to showcase GBG at industry conventions - such as the Midwest Gaming Classic and Blizzard World - and heightened their exposure in anticipation of their completed cabinets. 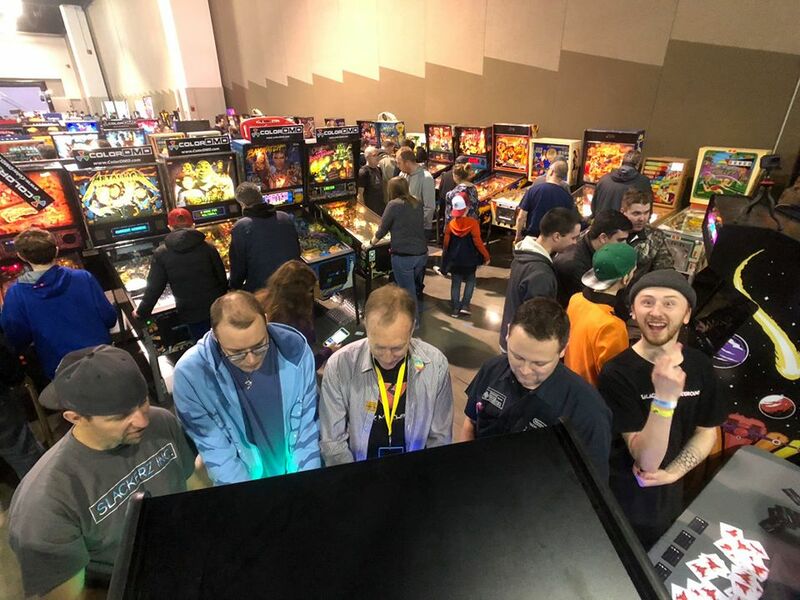 Slackerz Inc. showcasing 2 cabinets at the 2018 Midwest Gaming Classic. Here, Eugene Jarvis, arcade veteran and creator of Defender and Robotron, earn their GBG wings with MGC attendees and Slackerz Inc. owner, Kelly Pangburn. The arcade housing of the first production GBG cabinets built by Paradise Arcade. 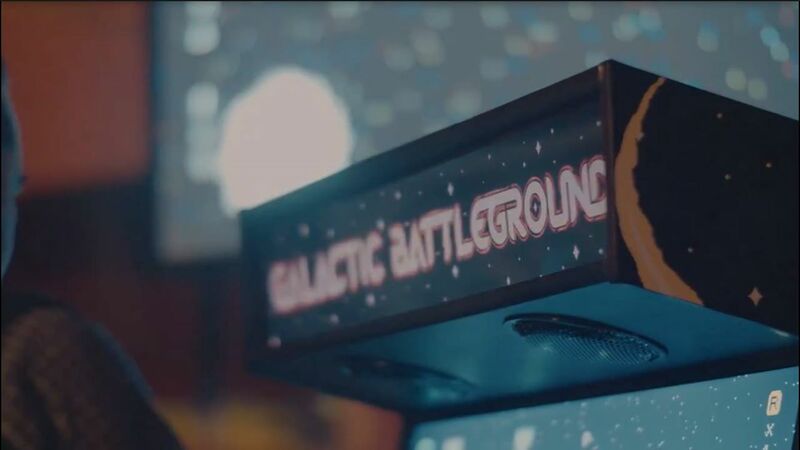 With several other public appearances planned for the Summer of 2018 - including Combo Breaker, Evo Championship Series, Retro Gaming Expo, and more - Galactic Battleground will continue to land in arcades across the nation! As more pilots earn their GBG wings, the Slackerz Inc. team has dedicated themselves to creating an in-depth, space-battling experience for them to indulge in. 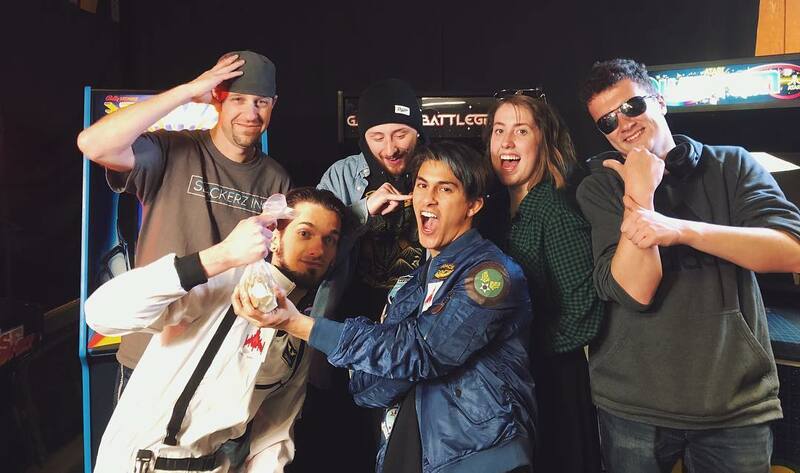 From Power-Up Breakdown videos to weekly tournament leagues, Galactic Battleground is fostering a galaxy of friendly competitiveness and creative space adventures. Slackerz Inc. and production team in a Power-Up Breakdown filming session.